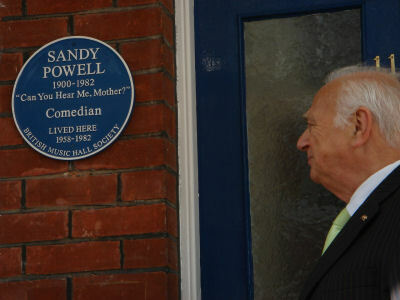 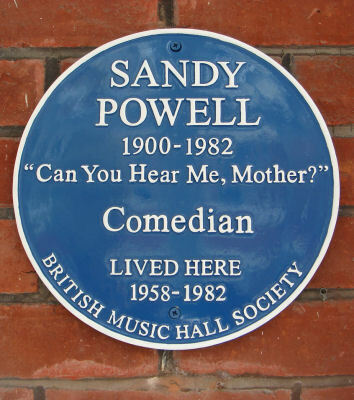 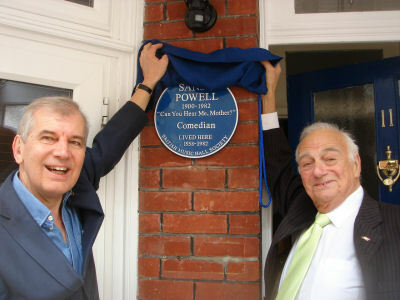 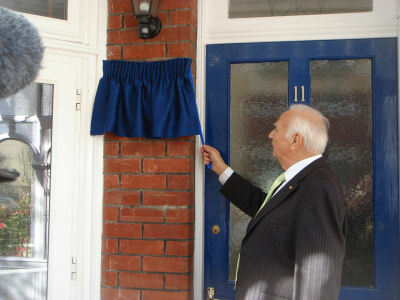 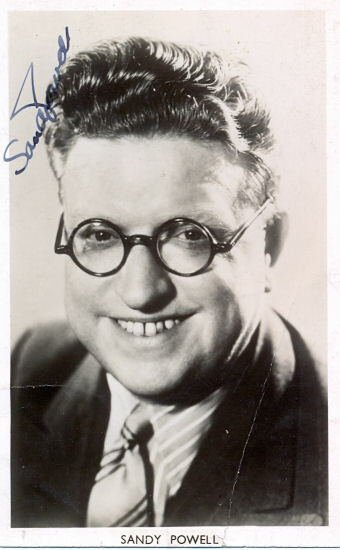 On Monday 13th April 2015, President Roy Hudd OBE unveiled a British Music Hall Society Blue Plaque to the famous comedian Sandy Powell at his old home, 11, Elms Avenue, Eastbourne, BN21 3DN. 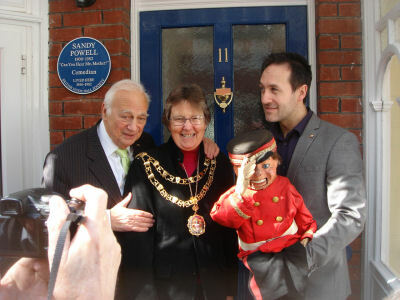 Over 100 people turned out to watch the ceremony which was also attended by Vice President Wyn Calvin MBE, Janet Coles, the Mayor of Eastbourne, Stephen Lloyd, Parliamentary Candidate for Eastbourne and ventriloquist Steve Hewlett, who brought along Sandy's soldier dummy that Sandy used in his cod vent act. 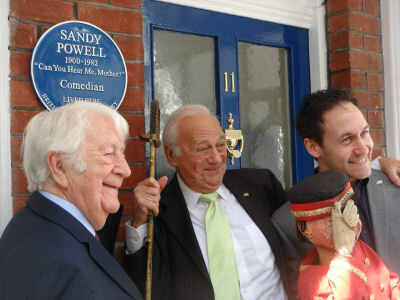 The dummy is now housed in the Water Rats Museum but was allowed out for the day! 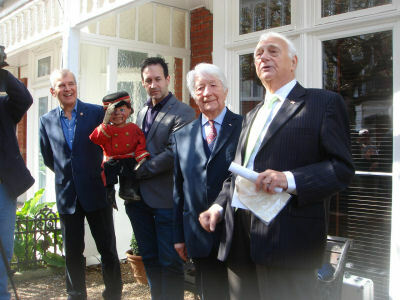 BBC South East filmed the ceremony and screened a report on their evening news programme that day and BBC Radio Sussex interviewed Roy Hudd and Adam Borzone, Vice Chairman of the BMHS.